Symbiotic Cloud Solutions is a division of Symbiotic Group Inc.
Symbiotic Group Inc. stands for the pursuit of relationships that are mutually beneficial. Symbiotic is defined as an ‘interdependent or mutually beneficial relationship between two persons, groups, etc.’ (Dictionary.com). Many good business relationships are formed where the reason for working together results in mutual benefit or where two groups work together knowing that one’s existence is improved through association with the other. Symbiotic Group Inc. is a consulting company that brings value to its clients through the combination of several complementary lines of business that provide industry leading cloud software solutions, IT technical expertise and Indigenous Consulting. Symbiotic Group Inc. is an ISO 9001:2015 Certified IT Consulting company serving clients since 1998 with a focus on quality in all business operations. Over the past twenty years, we have built up experience across a variety of industries including banking, financial, insurance, utilities, manufacturing, healthcare and government sectors. 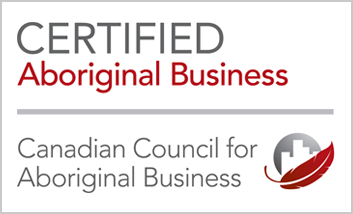 Symbiotic Group Inc. is a 100% First Nation owned business and is a Certified Aboriginal Business (CAB) by the Canadian Council for Aboriginal Business. Symbiotic is defined as an ‘interdependent or a mutually beneficial relationship between two persons, groups, etc (Dictionary.com). Many good business relationships are formed where the reason for working together results in mutual benefit or where two group’s work together knowing that one’s existence is improved through their association with the other. Symbiotic Group Inc. will provide clients with professional, reliable, measurable, quality services that ensure value is gained and business growth is obtained. We’re motivated by the need to create value for others, clients, consultants and partners. Growth is the natural by product of the drive to assist others with their needs. Symbiotic Group Inc. is a consulting company that brings value to its clients through the combination of several complementary lines of business that provide industry leading cloud software solutions, IT technical expertise and Indigenous Consulting services. Our mission is to enhance our customers’ business by providing IT and business expertise, professional quality processes, industry leading tools, and courteous service. 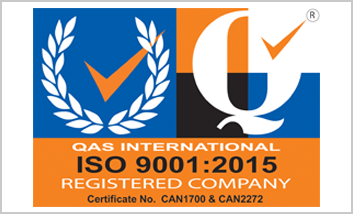 Our commitment to quality is rooted in our ISO 9001: 2015 certification and we continually strive to offer a service delivery model that provides value and meets our customer’s needs. We value above all our long-term customer relations and strive to make a positive impact in our community. To provide valuable IT & Business Expertise to our clients. To provide our Expert Team & employees with meaningful opportunities that will help them grow and improve as people and as professionals. 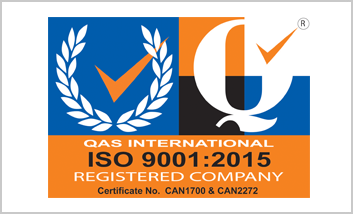 To implement and maintain an effective quality system - ISO 9001:2015. 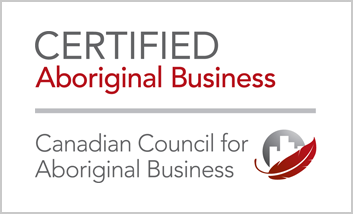 To assist clients with their corporate efforts towards increasing the representation of Indigenous companies and people in their business.